NEW ORLEANS - Marcus Green knows the stress and anger of a customer-service nightmare. “They said, 'Oh, yeah, we're gonna get this house.' I said, 'You're going to get this house?' They said, 'Yeah.' I said, 'Well, is there anything I can do? Is there anyone I can talk to?' They say, 'No,’” Green said. Michaud believes mortgage servicers have a greater incentive to foreclose on homeowners and sell the properties at sheriff’s sales than to fix disputes or modify loans. 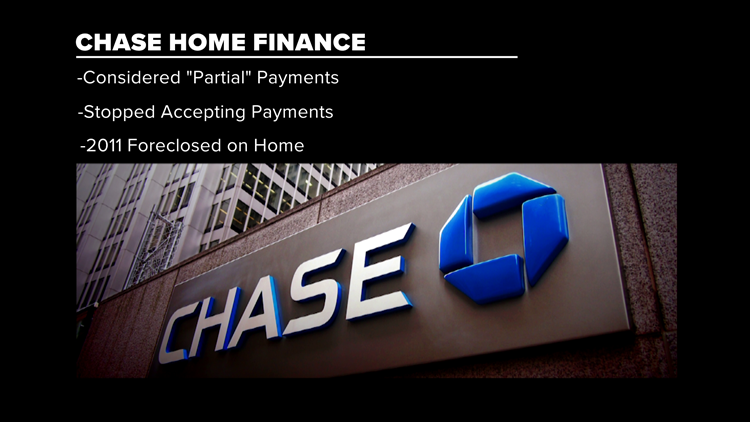 Chase and the Mortgage Bankers Association, which represents the largest mortgage servicers, say banks are not angling to take people’s homes at the first sign of trouble. They said new regulations put in place after the mortgage crisis of 2008 have assured that homeowners get every opportunity to modify the terms of their loan, settle defaults and avoid foreclosure. But Green said that’s not how Chase treated him. 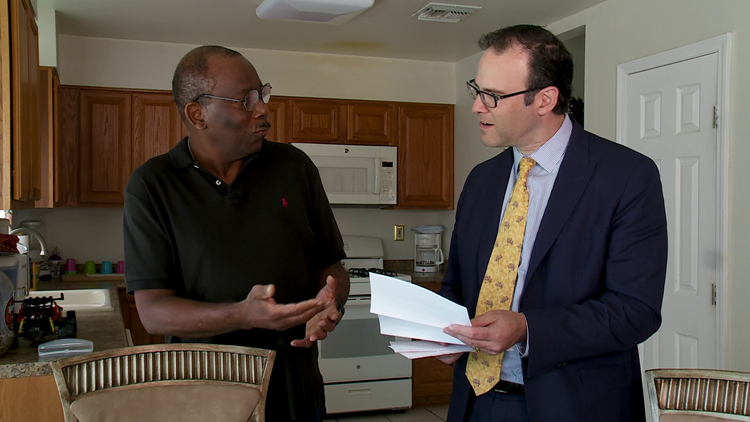 Court records show he never missed a mortgage payment until Chase started sending his checks – more than $1,000 every month -- back to him. The bank considered those partial payments because it said his insurance and tax escrow fees had increased. Chase says it has offered to settle with Green on multiple occasions, but he has not accepted their terms. He has managed to keep possession of his home for years by suing Chase for breach of contract. State and federal court files include dozens of cases similar to Green’s, but most end with an undisclosed settlement and an agreement not to share the terms. But records of the homeowners’ complaints against the lenders remain public. 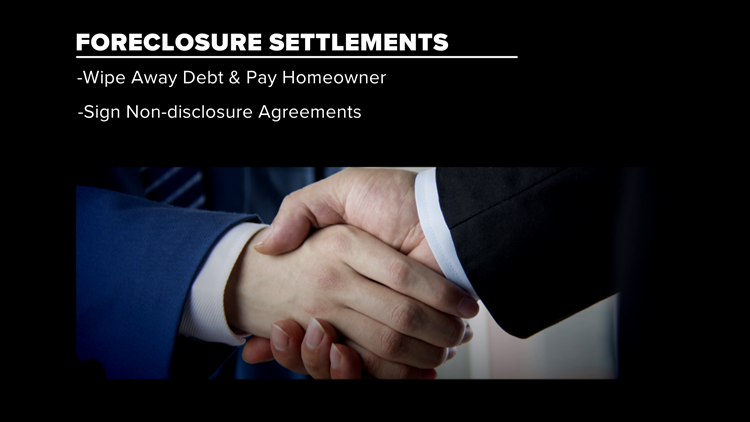 In one such case, the homeowner agreed to speak with WWL-TV on condition of anonymity, so the bank wouldn’t be able to negate the settlement. Court documents show his original loan included no escrow or impound fees for insurance or taxes. The agreement allowed the homeowner to pay those separately. But when his original lender sold the mortgage note to a different bank, the new servicer started charging escrow fees without notifying him. 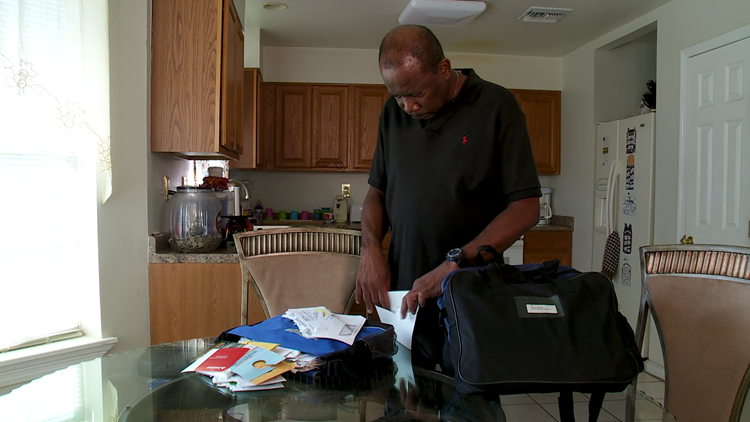 Before he realized what had happened, he received a foreclosure notice. He wrote letters and spoke with customer service representatives and thought they had resolved the issue. But then the bank filed a second foreclosure action. 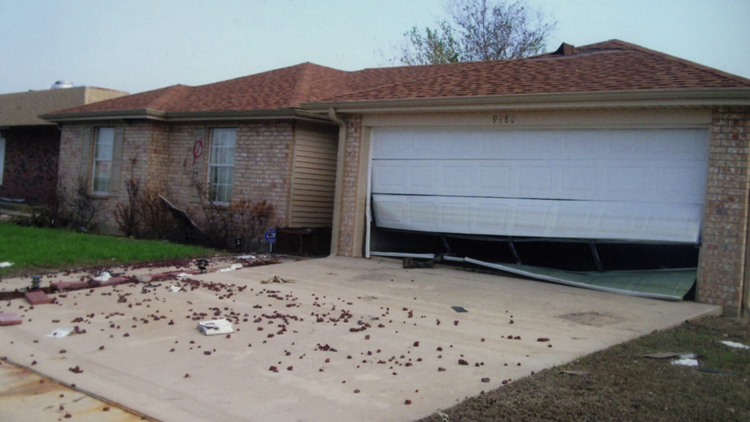 In 2011, the homeowner and his wife sued the bank. Like Green, he had kept meticulous records of the letters and phone calls and forced the bank to produce copies of its phone logs. He said that backed up his story and the bank agreed to a settlement in 2013, forgiving his debt and paying him hundreds of thousands of dollars, without officially admitting fault. He and Green urged homeowners to keep a log of every phone call and a copy of every letter. Those documents and a civil lawsuit could be the only way to make the bank back down, they said. 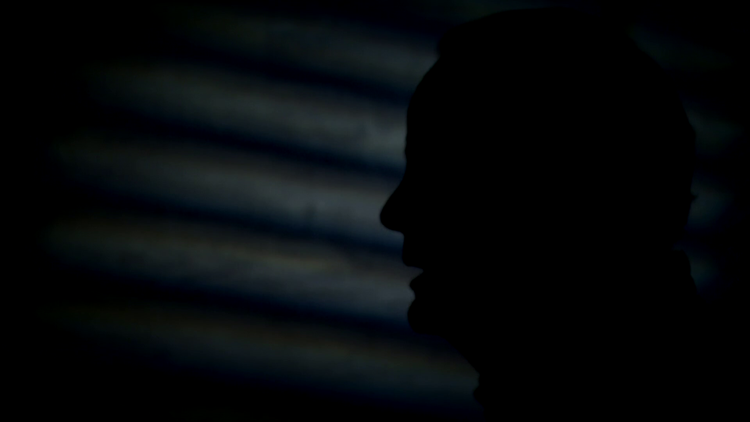 “Every case needs to go to court, and they need to be exposed,” Green said. Massive mortgage abuses were exposed after the 2008 mortgage crisis. After worthless mortgages that helped cause the crisis were sold in batches to investors, several lenders went bankrupt and it was unclear who really held millions of mortgage notes. Some banks and loan servicing companies were caught using stamps or robotic signatures on blank, undated pieces of paper to lay claim to the original note. 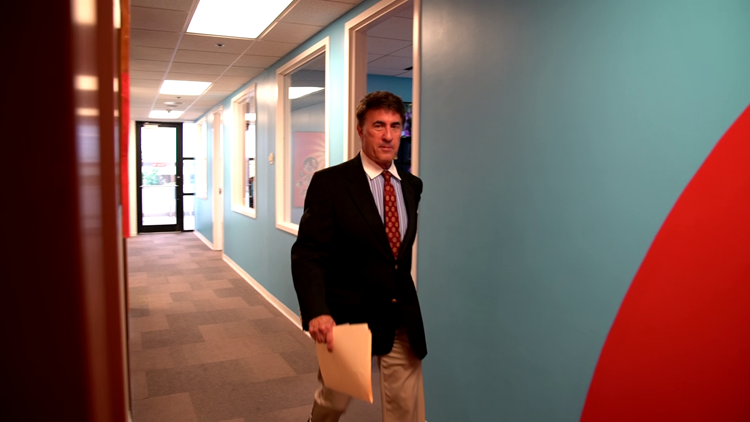 Atlanta-based foreclosure defense attorney Steven Bernstein believes one such case led to the unjust foreclosure on a Mid-City house Jessie Lee owned for 20 years. Lee and Bernstein said a blank, undated document attached to Lee’s original mortgage note, with an identical signature found on other disputed mortgages around the country, justified Lee’s decision to stop paying his mortgage after it passed from one servicer to another. Asked how he could justify not making any mortgage payments, Lee said he had a right to expect lenders to produce proper documentation before paying them anything. Orleans Parish judges were not willing to accept that argument. While Lee was challenging his foreclosure in court and waiting for a scheduled hearing, sheriff’s deputies showed up at his house in May and evicted him and his tenants. Bernstein said that shouldn’t have been allowed. He said Louisiana courts are notorious for accepting banks’ arguments carte blanche. “The laws in Louisiana are very antiquated, they're very ambiguous and leave a lot of room for the banks to file fraudulent papers before the court,” he said. 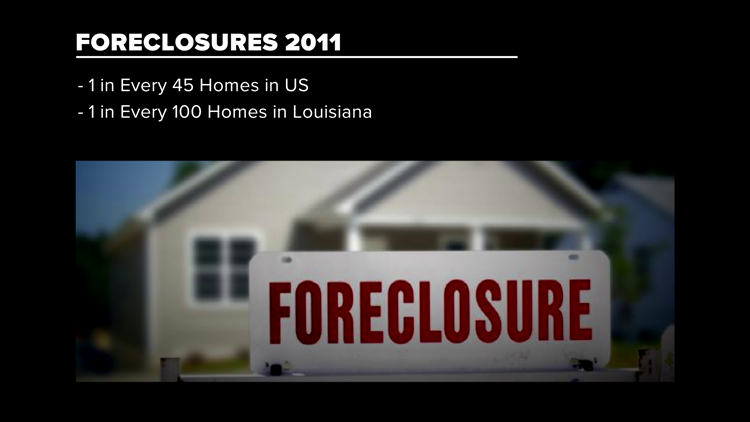 Unchecked during the financial crisis, foreclosures spiraled out of control early in the decade. At one point in 2011, an average of one in every 45 homes nationally were in some stage of foreclosure, according to online foreclosure marketer RealtyTrac. The rate was lower in Louisiana, but still peaked at one in 100. But in 2010, Congress stepped in, imposing new consumer protections and creating a new Consumer Financial Protection Bureau to regulate lenders. Some of the protections, including the Home Affordable Mortgage Program, or HAMP, which required lenders to provide loan modifications to those struggling to pay, have been allowed to expire. The mortgage industry talks openly about “erasing” some of the regulations overseen by the CFPB. Bernstein fears mortgage lenders are going back to their abusive ways, but the Mortgage Lenders Association said plenty of regulations are still in place to make sure those days are over. Data compiled by WWL-TV show consumers are making a lot of mortgage complaints, but the number of complaints is trending downward each year. Louisiana homeowners made more than 2,200 formal complaints against their mortgage lenders and servicers, either to the state Attorney General’s Consumer Protection Division or to the CFPB in the last five years. Among financial services regulated by the CFPB, only credit reporting and debt collections produce more consumer complaints than mortgages. The CFPB receives more complaints about mortgage lenders and loan servicers than about all other kinds of loans and credit cards, combined. 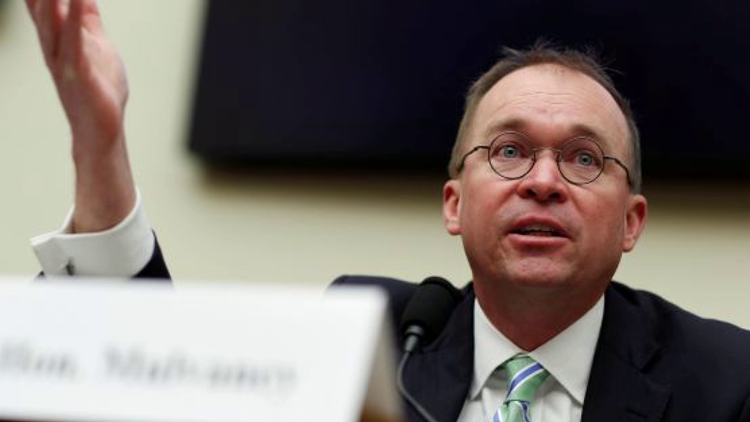 “It’s where we spend a great deal of our time,” CFPB Interim Director Mick Mulvaney said in a recent interview. The mortgage industry sees Mulvaney as an ally who is working to cut back some of the CFPB’s regulatory powers. President Donald Trump’s budget director railed against the agency he now leads when he was in Congress, bewailing its continued association with its architect, Democratic Sen. Elizabeth Warren of Massachusetts. In a recent interview during a trip to Baton Rouge, Mulvaney acknowledged recommending some changes in the bureau’s powers, but he still wants it to crack down on mortgage abuses. The CFPB did just that by fining Wells Fargo $500 million as a part of a $1 billion settlement earlier this year. 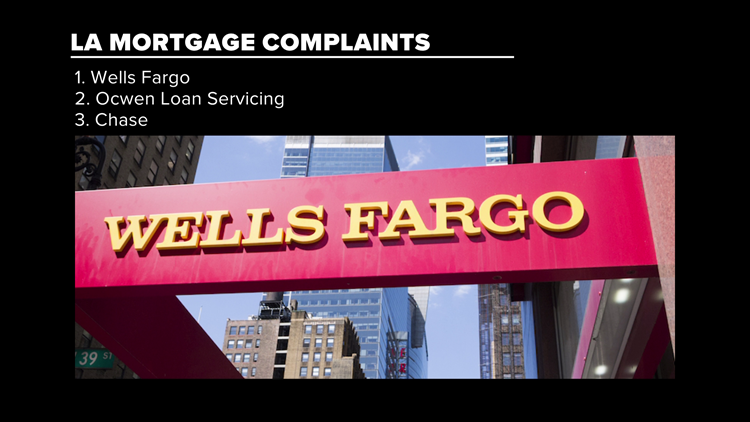 The largest number of mortgage complaints to the CFPB have been filed against Wells Fargo. The bank has agreed to pay billions of dollars in fines this year for a slew of scandals, including charging unfair mortgage fees and issuing home loans with incorrect information. Wells Fargo has said those fines were for practices it engaged in a decade ago, during the mortgage crisis. It has been trying to brand itself as “reborn” in 2018, to try to move past scandals involving mortgages and millions of fake bank and credit card accounts. New Orleans bankruptcy court Judge Elizabeth Magner is one of the few judges who has consistently cracked down on mortgage abuses. She fined Wells Fargo $3 million for a single case in which the bank increased a New Orleans homeowner’s monthly payments without notifying him. She also blasted Ocwen Loan Servicing, which collects mortgage payments for banks, including Wells Fargo and Chase. Ocwen receives the second largest number of consumer complaints. Magner has testified before Congress about the abuses in the mortgage industry and why the banks need to be watched. “With each revelation, one hopes that the bottom of the barrel has been reached and that the industry will self-correct,” she wrote in one court decision. “Sadly, this does not appear to be the reality."